Cibona registered its first Euroleague win of the season by rallying from a 13-point deficit to down Efes Pilsen 93-85 in Zagreb, Croatia, in group B on Wednesday night. Cibona became the first Group B team to register a win, while Efes lost a good chance to get a road triumph. Luksa Andric paced the winners with a career-high 19 points on 7-of-9 two-point shooting. Larry Ayuso added 17, Tre Kelley and Chris Warren each added 14 and Marin Rozic had 11 for Cibona, whose star forward Sam Hoskin left the game with an injury in the opening minute. Andre Hutson had 18 points for Efes, Serkan Erdogan added 14 while Kenny Gregory and Drew Nicholas got 13 apiece. Efes controlled the game in the early going and kept a 47-52 edge at the end of a high-scoring first half. Nicholas shined after the break, as he buried back-to-back triples to give Efes a 55-68 edge late in the third quarter. But Warren and Ayuso fueled a game-changing 14-0 run that bridged between the third and fourth quarter and Cibona managed to keep a safe edge all the way until the final buzzer. Loren Woods opened the scoring with a put-back layup, before Andric got Cibona on the board with a jump hook. The hosts' star big man Hoskin seemed to turn his ankle and left the game after just 45 seconds. Woods insisted with another layup and Hutson added free throws, as Cibona had trouble against Efes' man-to-man defense. Cibona found an answer with three-pointers, as Ayuso and Andric scored from downtown to tie the game at 8-8. Ender Arslan joined the three-point festival, as Cibona entered the foul bonus. Hutson made free throws, but Andric answered with another layup. Efes kept attacking the basket and Erdogan and Hutson also hit foul shots before Ermal Kuqo came off the bench and immediately buried a three-pointer, igniting a 0-8 run that Erdogan capped with another shot from downtown, good for a 16-25 Efes margin. Cibona found little answers in offense, while Efes kept playing up-tempo, finding good options in the other end. Gregory and Rozic traded three-point plays to fix the score at 21-28 after 10 minutes. Andric kept pacing Cibona early in the second quarter, but Kerem Gonlum and a fast break layup by Arslan allowed Efes to restore a 9-point lead. Kelley tried to ignite a Cibona run with a layup and Andric scored in the low post to get the hosts within 28-32. Woods stepped up with a layup-plus-foul and then collected a steal that allowed Nicholas to bury a three-pointer and boost Efes's lead to double digits. Andric scored again and Rozic added a second-chance layup, but an easy jumper by Woods and a big dunk by Gregory kept Efes ahead, 32-44. Warren and Kelley stepped up with consecutive baskets in a 10-0 run highlighted by Damir Mulaomerovic's outstanding four-point play to get Cibona back in the game, 42-44. Scoonie Penn scored from downtown and Erdogan also hit a corner triple to keep Efes ahead, 44-50. Woods added a slam, Mulaomerovic answered with a seven-meter shot from the key and then Gregory banked it an off-balance shot to beat the buzzer and give Efes a 47-54 halftime edge. Franko Kastropil highlighted the start of the second half with a two-handed, no-look layup and the free throw that came with it. Marin Rozic soon added a fast break basket to get Cibona as close as 52-56. Hutson scored in the low post and Nicholas followed a stop-and-pop triple with a breakaway layup to silence the crowd at 52-63. Cibona called a much-needed timeout, but Efes was at a different level now. Gregory scored another fast break layup, but Kelley answered from downtown for a 55-65 Cibona deficit. The hosts tried a 2-3 zone defense that a red-hot Nicholas broke with a seven-meter bomb. Warren rescued Cibona with a triple and a basket-plus-foul and Ayuso buried one from downtown as Efes took a timeout, 64-68, after a 9-0 run. Kuqo stepped up with a jump hook, but Kelley bettered it with a three-point-play and soon added free throws to get Cibona even closer, 69-70. Barisa Krasic added a triple and Ayuso capped a 11-0 run with a buzzer-beating bomb that gave Cibona a 75-70 edge after three quarters. Woods missed Gregory with a pass at the start of the fourth quarter and Krasic punished Efes at the other end with a three for an 8-point margin. After a timeout, Efes started to go inside, taking advantage of the fact that Andric was on the bench with 4 fouls. Hutson added a tip-in on the next trip downcourt, but Warren drilled a long jumper to keep Cibona in control. Erdogan's penetration brought Efes within 3, but Kelly's triple made it 83-77 midway through the period. After Erdogan missed from downtown, Andric came off the bench and scored inside. An Erdogan triple followed by Penn's free throw kept Efes alive, but a reverse layup from Ayuso kept Cibona up 6. Hutson made two from the line with two minutes to play, but Andric answered for the hosts. Erdogan missed a wild three with 1:10 remaining, but Rozic committed an offensive foul at the other end, keeping Polsen alive. However after a timeout, Nicholas forced up two quick threes and missed them both and Warren iced the game with a pair of free throws, allowing Cibona to start the season with an important home win. "I'm very pleased with the performance tonight. We didn't give up and it paid off in the end. It sure wasn't easy, especially after the Hoskin injury, as his game means a lot to us. 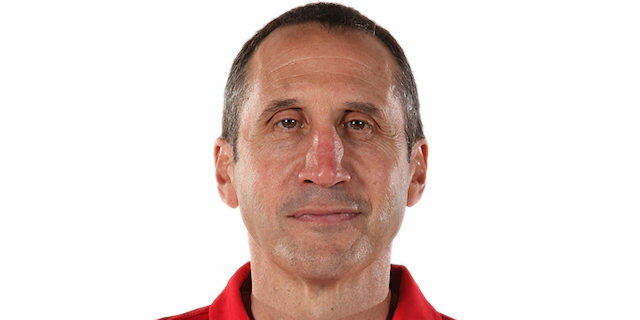 Blatt is a remarkable coach who has changed the way coaches think nowadays. His games are a pure basketball holiday and I respect him very much. That's why I'm even happier to have won today. We lost Hoskin and Efes was outstanding from the field. We had to turn to other options, that's why we picked up the aggressiveness and got the ball moving faster. It paid off, but I'll keep insisting on Andric. 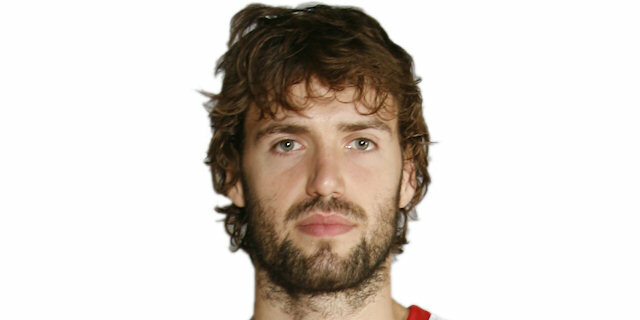 He is the Croatian version of Andrea Bargnani." "We looked pretty good in the first half, but as soon as we started struggling defensively, we got into trouble. You can't win like that, especially on the road. Cibona played way better after the break, we should have reacted better and that's why we lost. Keeping in mind that Scoonie Penn joined the team just recently, I didn't expect much from him. This is not his true face, but I'm sure his game will improve. We, as a team, need to go step by step and once we stabilize our form, we'll be able to talk about expectations and ambitions." "We recorded a win at the very beginning and that's going to affect our future performances. We gave up too many points in the first half and that got me worried. We picked up the defensive pressure after the break and managed to turn it all around." "There's no excuse about the way we defended tonight. When you play that kind of disastrous defense, it doesn't matter how many points you made and you lose the game. This is what happened on the court from our side. We have to get better on that point and focus to strengthen our performance on defense for the future games."